“Hear me now therefore, O ye children, and depart not from the words of my mouth” (Proverbs 5:7). 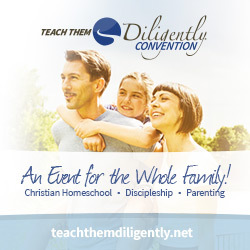 Do any of your children ever offer the excuse, “I didn’t hear you,” when they have failed to obey you? 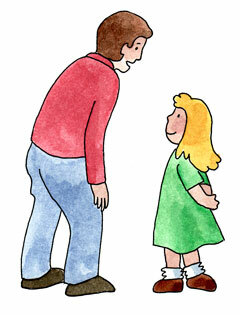 A child is responsible to listen carefully any time his parents are speaking to him. Listening is part of showing honor, and is necessary if the child is going to be able to obey you. “I didn’t hear you” should not be accepted as an excuse for disobedience. You can help your child listen by requiring him to look at you when you speak to him, and by having him repeat what you have said. This week’s project focuses on careful listening. Turn listening practice into a game. 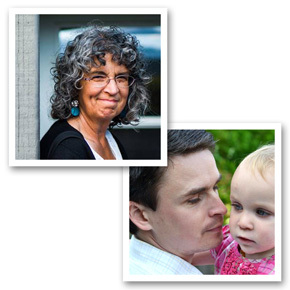 Before gathering your children together, write up separate lists of tasks for each of them. The tasks can include chores, silly and fun activities, or a combination of both. For example, a list for an 8-year-old might include: empty the wastebaskets, jump up and down five times, put your shoes away, run all the way around the outside of the house, and drink a glass of water in two gulps. Make a list for each child, giving a young child only two or three tasks, and older children more. Read Proverbs 5:7 with your children. Talk about how important it is for them to listen carefully when you speak to them, so that they will be able to do what you say, and so that God will be able to bless them for their obedience. Read each child’s list to him. Have him repeat the list back to you. Then send him to complete his tasks. See how many of your children can remember and complete the entire list without any reminders. Praise each child who succeeds, and then tell everyone to head to the kitchen for cookies and milk (or an art project, board game, or other fun treat). Since the Jewish festival of Purim just happened last week, try this traditional Purim activity as another practice session in listening. Purim is the holiday that celebrates the deliverance of the Jews from Haman’s attempt to kill them. Give each child a noisemaker or a pot or pan and spoon. Read the entire book of Esther to your children in a translation they will understand. (If your children are young, summarize most of the story, and just read chapters 3-7, or even less if necessary. The Jews read the entire book for this activity.) Instruct your children to listen carefully for Haman’s name as you read. Every time they hear his name, they should stamp their feet, blow their noisemakers, and bang their pots and pans. This is done to drown out the name of this evil villain who sought to destroy all the Jews. If you want to learn more about Purim, read Esther 9:23-32, and look at this website for other celebration ideas. Act out the story of Esther with your children, make “hamantaschen” (Haman’s Ears), or give gifts to the poor. For the rest of this week, focus on helping your child listen to you. Memorize Proverbs 5:7 together. Ask him to look at you when you speak to him, have him repeat what you have said back to you. And be careful to model good listening by attentively listening to him when he speaks to you. This is so important to remember. Your children will not want to listen to you if you don’t listen to them. Ditto the above. Am I really listening with my back to my child and my hands in the dishwater? Probably not. But I do a lot of uh-huh-ing. Having children repeat back what they heard, is a wonderful way to see if they understand what you read. This is so important. Thanks for posting. I thinks these ideas will work wonderfully. I often times find myself distracted when my children talk to me and even though I may “hear” them….I am not actively listening and I find that I am not being a good example of what “listening” really is. This is really great. I wish there was an easy way i could print these devotionals to use at home with my kids! I printed one, but several of the words on each line of the page didn’t print, so it was hard to make out the sentences. I was glad i read it first online! If there is a way to fix that, or add a “print” button, that would be great! This is just an awesome post! We have needed some ideas on listening. I look forward to doing this character project with my son. Thank you! I myself am working on being a better listener and not interrupting my young son when he is trying to explain something to me. Listening…we ALL could use a reminder of what it truly means to listen! There is a difference between hearing and listening: a lesson I am working at teaching my children (while still learning myself). Thanks for the lesson! cool! i.m gonna do that! Loved this post!! With 4 kids 5 and under, listening carefully to mommy’s instructions is so vital to achieve obedience! What a wise reminder that I must model active listening to them! The list idea sounds like it could be really fun!! I totally hear the uh-huhing post…God is continually growing His people! Listening carefully is something that I struggle with even as an adult. I see how important it is for me to look at who is speaking at me as a matter of valuing them. I’ll come back later to check some more. This is interesting! Good stuff and fun for the children. I too need to be reminded – Thanks!! I find, now that my boys are teenagers, I have to take the same care to listen to them that I did when they were on my knee. Maybe more so. After all, they are becoming men right before my eyes and I really do not want to miss a moment that might be crucial to their future. As many have said, having your child repeat back is important. 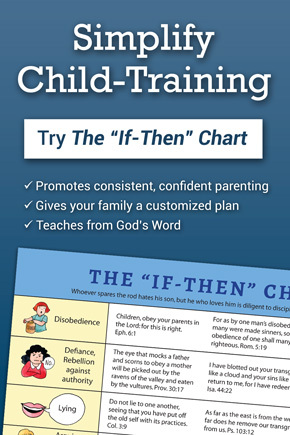 It is equally important to remember to train up your child according to how God has created them. As the mom of a dyslexic son who has great difficulty remembering multi-step commands, I must be careful not to get too impatient with him. Instead, when I give him multi-step commands I try and limit it to as few words as possible. I explain what I want him to do: “Put boots away, feed the dog, brush teeth” but then have him repeat it back to me two times using one word commands: “Boots, dog, teeth.” That way I am still training him to obey but it is in smaller chunks his brain can process. just posted on facebook. great stuff!! Wow, this is so timely. I was just talking to one of my children about this today. Tomorrow we will be implementing these suggestions! Thank you! Great post! I was just talking to my kids today about this. This is a wonderful idea. Thank you!